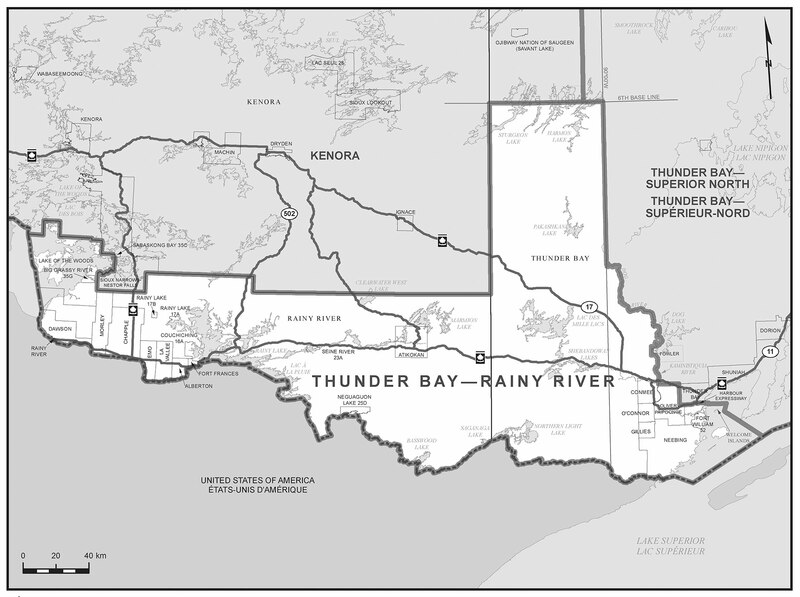 Thunder Bay-Rainy River is a federal electoral district in Ontario, Canada, that has been represented in the Canadian House of Commons since 2004. It first elected a member in the 2006 Canadian federal election. It was created in 2003 from parts of Kenora-Rainy River and Thunder Bay-Atikokan ridings. It consists of the Territorial District of Rainy River, and the part of the Territorial District of Thunder Bay lying south and west of a line drawn from the western limit of the territorial district east along the 6th Base Line, south along longitude 90.00 W, Dog River and the western shoreline of Dog Lake, west along the northern boundary of the Township of Fowler, south along its western boundary, and east along its southern boundary, south along the Kaministiquia River, east along the northern limit of the Township of Oliver Paipoonge, south along its eastern limit and along Pole Line Road, north along Thunder Bay Expressway (Highways 11 and 17), east along Harbour Expressway and Main Street to 110th Avenue, and due east to the eastern limit of the City of Thunder Bay, along that limit to the northeast corner of the Township of Neebing, and southeast to the US border. Through her municipal advocacy days in Ottawa, she knows that it is NOW critical for Canadians to vote for ethical and fiscal leadership – the Andrew Scheer Conservative Team. 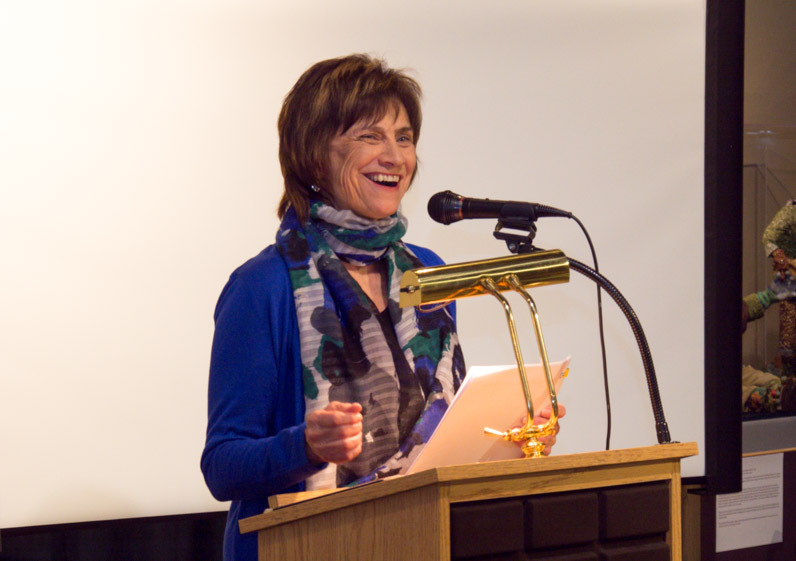 Linda offers her time, energy and ability to work federally for solutions locally. She looks forward to meeting with residents throughout the Thunder Bay-Rainy River riding. Linda was born in Fort Frances, spent part of her childhood in Atikokan and has lived in the Thunder Bay Area, urban and rural, as a teenager and adult. 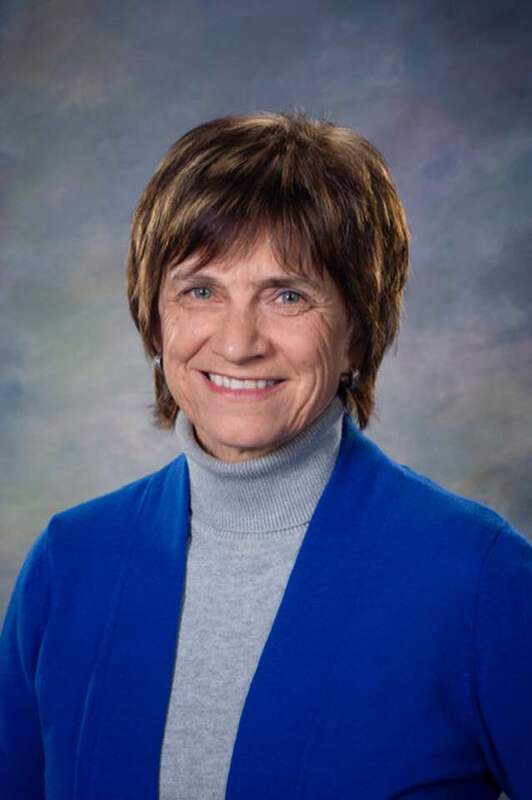 Her experiences as a city councillor, school trustee, chiropractor, dairy farmer, community activist, business owner, school teacher, church leader, wife and mother, help her to relate to people from various backgrounds. Individuals and groups are welcome to invite Linda to chat with them now, and hopefully after the election, as the new MP for Thunder Bay-Rainy River! Since the amalgamation of the Progressive Conservative Party of Canada with the Canadian Alliance Party in 2004. The Thunder Bay – Rainy River Conservative Association is pleased to give you information and news regarding our local EDA and news related to the Conservative party of Canada. The posts below will give you a chance to stay up to date regarding what matters to you. * Membership is available to Canadian citizens or permanent residents of Canada at least 14 years of age, who actively support the founding principles of the Conservative Party of Canada. * Membership fees are not eligible for a tax receipt. * Cash, Pre-paid Credit Cards or Business Cards are not accepted.